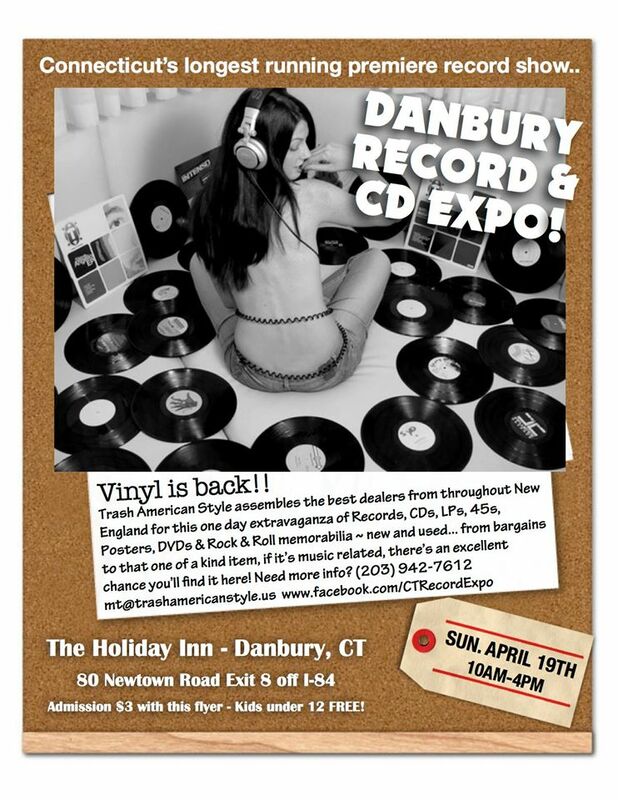 Connecticut’s longest running premiere record convention – THE DANBURY RECORD + CD EXPO! SUNDAY, APRIL 19 at the Holiday Inn, 80 Newtown Rd, Danbury CT 06810 (exit 8 off of I-84). Regular admission (10:00 AM- 4:00 PM ) $4.00 ($1 off with a printout of this message). 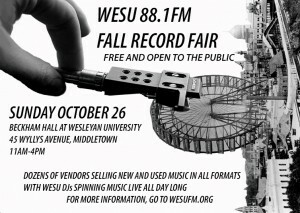 Featuring dealers from throughout New England. Vinyl LP’s, CD’s, DVD’s, 45’s, posters, memorabilia, new + used…. everything from cheap bargains to one of a kind collectibles. Something for everyone! The show not to be missed..
More Info: Trash American Style, PH: 203- 426-0306.